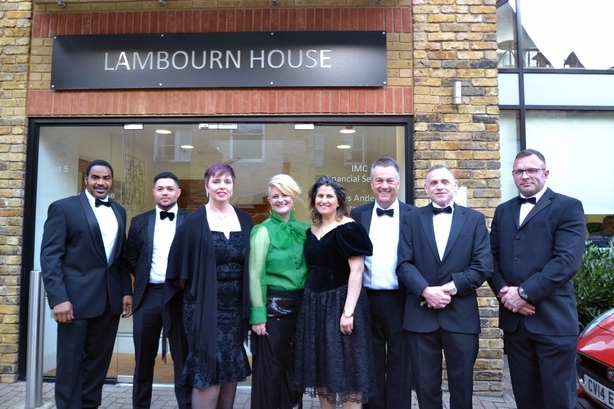 Last month we were lucky enough to be invited to attend the London’s Mortgage Strategy Awards on Tuesday 26th March. This mortgage awards ceremony brings over 900 of the industry’s finest mortgage broker firms together. We were proud and honoured to be shortlisted in the top six mortgage brokers in the UK out of 100s of nominees! All of our mortgage advisors and brokers have worked hard and contributed to this position and building the exceptional reputation that the company has maintained. Being recognised as performing at the top of our field is a fantastic achievement for all of the mortgage team. We hope that IMC continues to grow and expand in the coming years while delivering quality and personal service to all our mortgage customers. We view our main strengths as the scale of our company and how specialist we are. This enables us to provide a quality level of personal service. Many of our customers are local to our offices meaning that they can come and meet with us in person. As a small firm, we’re able to be flexible with appointments – working on Saturdays and into the evenings when this works best for our customers. We’re also a whole of market broker meaning that we recommend multiple lenders to our customers as opposed to just one or two as some firms will do. This is the product of 20 years of experience and mortgage connections. The Mortgage Strategy Awards are an indicator of quality and reliable mortgage firms. Mortgage Strategy is the leading source of news, analysis and insight for mortgage brokers and intermediaries within the UK. The decision of the award for best small broker is based on self-nominations and a public vote, with a professional judging panel then selecting the top six small mortgage brokers. We’ve summarised the process below. Lenders, providers, brokers and distributors can put themselves forward, with a statement detailing why they should win, to ensure that they’re considered in the public vote. The nomination process is also opened to the public, who are asked to vote either for the self-nominated companies or nominate a company of their own choice. Votes are only accepted from individuals operating within the UK mortgage industry. The Mortgage Strategy editorial team create a longlist from the results of the voting stages. Who decides who wins the awards? The top contenders are invited to complete an online entry form in early October. The final decision is then left to the judging panel, made up of qualified AMI, CML and IMLA members. Once the panel have their shortlist of small brokers, the shortlisted broker firms are invited for an interview with the judging panel, before a winner and runners up are decided. For more information on the judging process, visit the Mortgage Strategy website. Our position in the top six independent mortgage brokers in London is the product of 20+ years experience as mortgage advisors as well as brokers. Because all six of our mortgage brokers are qualified as financial advisors, they can provide this advisory service as well as telling you about the best rates. They’ll teach you about and increase your understanding of the application process. Find out more about the team or make an appointment to come and meet us in person.